How long before I receive my SIM and my service is active? Can I bring my number from another supplier? On my first bill, what is pro-rata charge? When does my usage reset? What is included in unlimited SMS? How do I ensure all of my on-account calls are free for my Super Saver or Saver Plan? Can I set up call diversion? Are premium services included in my plan? I’ve lost my phone? What can I do? Can I tether my Exetel mobile service? Once you have ordered your Exetel mobile service, we aim to have your SIM and setup pack delivered to you, and ready for use, within 2-3 business days. If there are unforeseen issues when activating your service with our network supplier, then it may take longer. It is super-easy to bring your mobile number to Exetel from your current service provider. All you need to do is select the option 'I would like to keep my current mobile number and port it to Exetel' in the order form and fill out a couple of details about your existing service. We will take care of the rest. We use a calendar month billing cycle, which means we calculate usage and charges from the 1st to the last day of the month. When you first activate your mobile service, it is most likely that you will start somewhere in the middle of this billing cycle. What this means is that for the first month your bill may be higher than the standard monthly charge, as it may include the first part month of charges (pro-rated for the number of days) and the following full month plan fees in advance. The part month charges mean that instead of receiving the full included value allocation/s, and being charged for a full month, we apply the allowance/s and charges as a pro-rata amount of the full month. After the first bill, your monthly bill and included value allowance/s will be applied in full as per the critical information summary associated with your plan. When you travel, contacting your mobile provider to activate Global Roaming is generally the last thing on your mind. That’s why we pre-configure all Exetel mobile plans with Global Roaming (Voice and Data) as active. This ensures that you are not caught overseas with a mobile that doesn’t work - leaving you out of contact. We also make it as inexpensive as possible to use your phone overseas by offering highly competitive voice and data rates in over 160 countries around the world. Check out our Global Roaming rates. If you prefer that Global Roaming is not active on your handset you can deactivate voice, data, or voice and data, via My Exetel at any time. The included value allowance usage on your Exetel mobile plan resets to match your billing cycle. 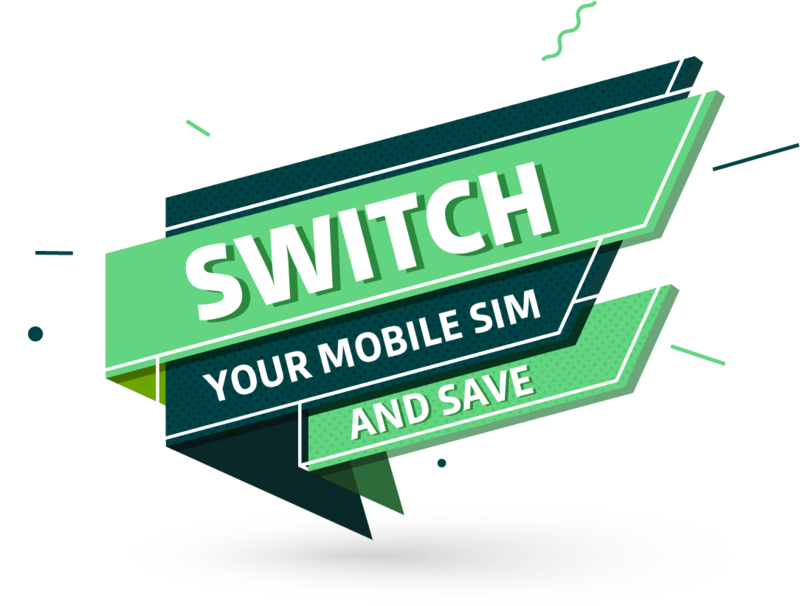 All Exetel mobile plans are billed on a calendar basis, which means that your included value allowances will be reset on the 1st of each month. If you want to track your usage, we provide voice and data usage meters in your MyExetel member services. Or download the Exetel App. You can read about managing your usage, and usage notifications on our Mobile Usage Help page found here My Exetel. If your Exetel mobile plan has an unlimited text allowance, you can send an unlimited number of texts to any Australian based mobile whilst they are in Australia. If you plan also has an unlimited international text allowance, you can send an unlimited number of texts to any overseas based mobile. To ensure all of the numbers you want to call are rated as free, just log into your My Exetel portal for your Saver Plan and ensure all numbers are listed under the 'Services & Usage' Tab. If they aren't, please call us 13 39 38 to arrange to merge your billing account. Exetel mobile plans allow you to setup a call diversion on your mobile, to any Australian fixed line or mobile number. Any diversion charges are part of your included voice allowance. Premium services are not included in any Exetel mobile call allowances. Call charges for premium services are applied by Third Parties, and Exetel are unable to provide call rates for these call, message, and data services. Premium services include the National Relay Service. If you have a hearing or speech impairment, and wish to make calls the National Relay Service, you must have an account with Australian Communication Exchange (ACE) and you will be charged for the calls. As premium services are not operated by Exetel, any costs are the responsibility of the account holder. This includes the cost of any calls made from your phone, including calls made by family and friends, even when made without your knowledge. In the event that your Exetel mobile powered handset is lost or stolen, please call us as soon as is possible to block your service on 13 39 38. Our support team will suspend your lost/stolen service, arrange for a new SIM card where required, and get you back up and running as soon as possible. Tethering on any Exetel mobile plan is as simple as connecting your phone (via cable, Bluetooth or Wi-Fi) to your tablet/computer and clicking search. Tethering is active by default on all plans to make it easy to use your service however you want to use it. When you connect your phone to another device, it will provide you the ability to share your mobile data connection to access the internet. By tethering your device, you will use your included data allowance.